The Institute of Personnel Banking Selection (IBPS) has released the official notification for the Common Recruitment Process (CRP-VIII) of Clerks in the participating organizations. The institute has invited online applications for the vacancies to be filled during the year 20019-20. The online application process has started today i.e. 18th September 2018 and will continue till 10th October 2018. There is no other mode of application submission. Here is a step-by-step guide to complete the application process. Photograph (4.5cm X 3.5cm) – recent, coloured, white (any light colour) background, dimensions 200 X 230 pixels, and size 20 KB to 50 KB. Signature – sign on a white paper with a black ink pen, dimensions 140 X 60 pixels, and size 10 KB to 20 KB. Left Thumb impression – on white paper with black or blue ink, dimensions 240 X 240 pixels in 200 DPI, size 20 KB to 50 KB, and file type JPG/JPEG. Declaration – hand-written in English on white paper with black ink, dimensions 800 X 400 pixels, size 50 KB to 100 KB, file type JPG/JPEG. Text to be written on the declaration – “I, _______ (Name of the candidate), hereby declare that all the information submitted by me in the application form is correct, true and valid. I will present the supporting documents as and when required.” The declaration must be in the candidate’s handwriting only. Declaration/Signature in CAPITAL LETTERS will be REJECTED. Additional transaction/intimation charges have to be borne by the candidate. The application fee can be paid ONLY through the online mode of payment using Debit cards, credit cards, internet banking, IMPS, and Mobile Wallets/Cash Cards. Now that you are all set with the required documents, let’s move on to the application process. 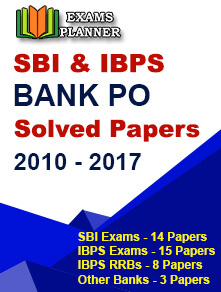 Go to the IBPS’s official website – www.ibps.in. Click on ‘CRP Clerical’ tab on the home-page. Click on the ‘Common Recruitment Process for Clerical Cadre VIII’ link. Now click on the ‘Click here to Apply Online for CRP – Clerks (CRP-Clerks-VIII)’ link. Click on the ‘CLICK HERE FOR NEW REGISTRATION’ link and provide the basic information to complete the registration process. On successful registration, a registration number and password will be sent to your registered email ID and mobile number. Now again go to the log-in page and enter the registration id and password to log-in. Complete other details such as educational qualification and bank preferences. Upload the scanned images of your photograph, signature, left thumb impression, and the hand-written declaration. Candidates are advised to check all the details carefully before clicking the ‘FINAL SUBMIT’ button. Make the fee payment and take a print out of the successfully submitted application form. 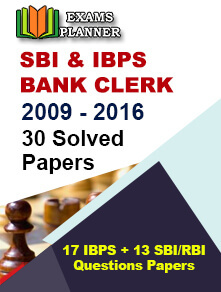 Candidates are not required to send the printout of the application form to the IBPS or banks. Candidates are advised to apply well before the last date of the form submission to avoid last minute rush. In the last days of the application process, there is a possibility of disconnection/inaccessibility due to heavy load on the website. Also, do check the IBPS Clerk eligibility criteria and other details before filling the application form. Here is the tentative schedule of exam events as published through the official notification. Keep a regular check on the official website for any updates related to the exam.